Women in Cleantech & Sustainability is bringing the first pitch competition focused on female-led cleantech and sustainability startups in the United States to Google’s Sunnyvale campus next month to pitch venture capitalists and investors. 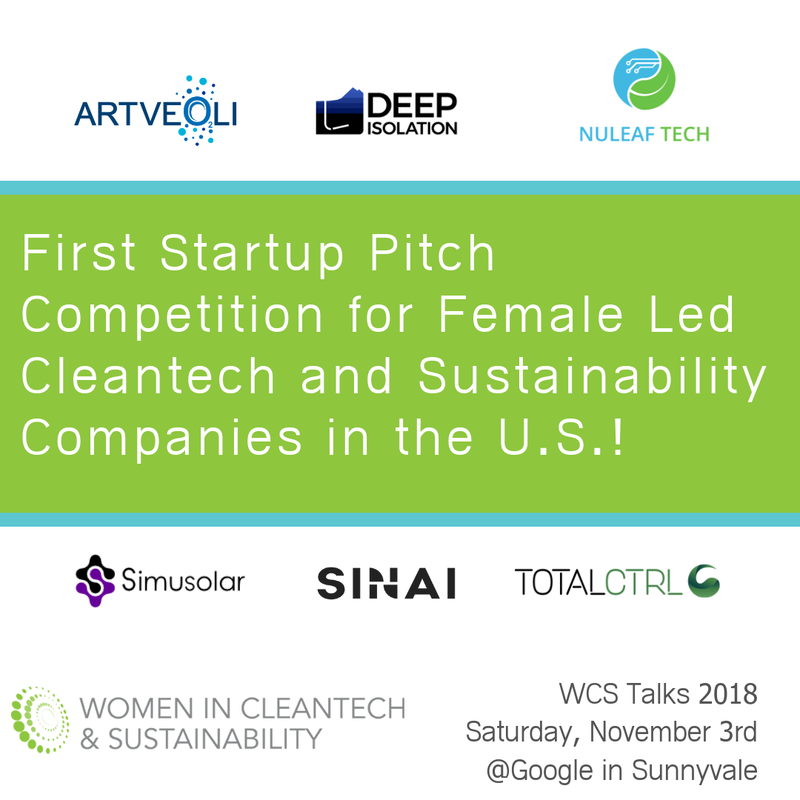 The pitch competition will happen as part of the 5th Annual WCS Talks 2018 on November 3rd, 2018 to put a spotlight on women-led cleantech and sustainability companies kicking tail around the world. 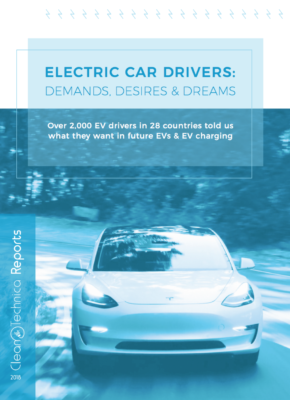 CEOs from SINAI Technologies, Simusolar, Deep Isolation, TotalCtrl, NuLeaf Tech and Artveoli will pitch their companies and field questions from a panel of judges from Centrica Innovations, G2VP, Energy Impact Partners, and the Urban Innovation Fund. The competition serves to celebrate some of the great women-led companies in the cleantech space while also dropping them into the fire to test their mettle in a pitch competition where they will compete for a slew of prizes. 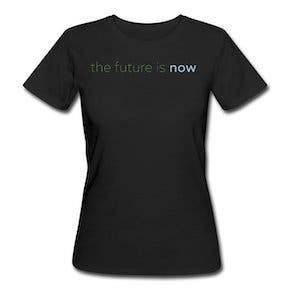 The winner of the competition will receive a lump of prizes to support the continued growth of their business, including a guaranteed spot to pitch at SVForum’s 2019 Women in Tech Festival and preferential consideration to serve on a Cleantech Forum San Francisco panel, among other prizes. 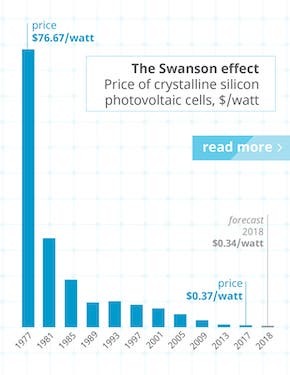 The underrepresentation of women in not just cleantech, but in the world of venture capital, highlights just how much the world is missing out on by not investing more in women-led companies. WCS Talks exists to put a spotlight on women’s unique views on leadership, business, policy and STEM (science, technology, engineering, and math) topics. It aims to highlight the substantial and positive impact that women are making in these fields as they relate to environmental topics, while providing a platform to address challenges women still face in their professions. The WCS Talks pitch competition will take place between 1:00 p.m. and 3:00 p.m. PST on November 3, 2018, as a part of the larger TED-style conference, which features speakers from Google, First Solar, ENGIE, EDF, Bloom Energy, the Presidio School, OSIsoft and more. Winners will be selected by votes tallied from the judges and the WCS Talks audience. Learn more about the pitch competition here. To purchase tickets to WCS Talks 2018 click here.